The Sculpture Park can provide and coordinate all aspects of sculpture installation. From the selection of suitable sculptures, appropriate plinths and fixings to the hiring of machinery and cranes to move large and heavy works. Our team have carried out hundreds of successful installations since April 2003. We believe the installation of every sculpture to be of great importance. The way in which work is positioned and mounted can result in the success or failure of achieving the best displays. All our installations are securely mounted, adhering to safety regulations and to ensure no danger from any significant wind, weather conditions or theft. We offer free consultation on installation methods and estimate costs prior to any purchase. 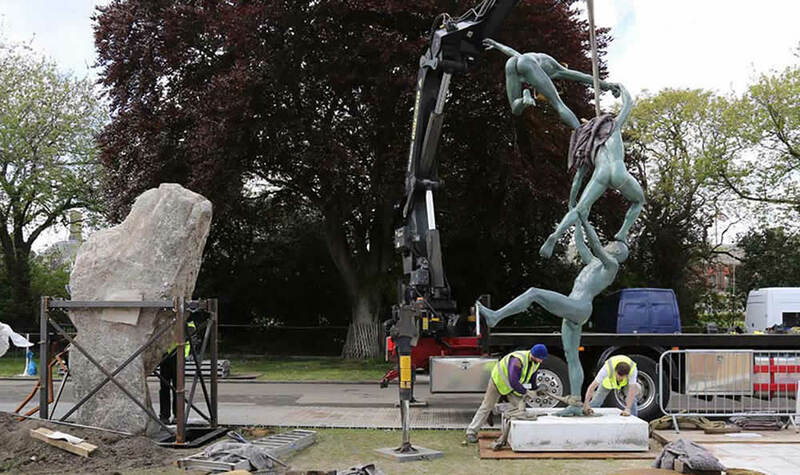 If your sculpture or the confines of the site require a more complicated installation, then our staff are available, by prior negotiation, to oversee and manage the process from the outset to completion.